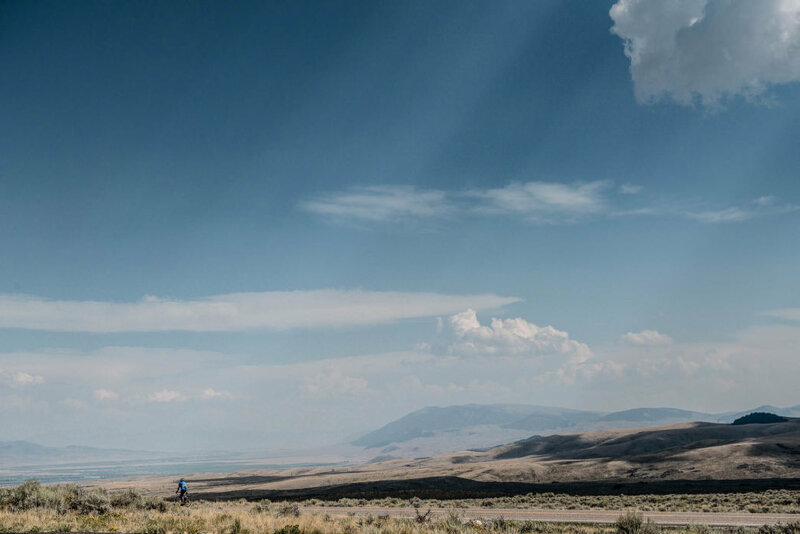 By the fifth day of Cycle Greater Yellowstone, you will have seen some of the most beautiful landscape in the country. Don’t stop now, you still have two days of riding left and a lot more to see. 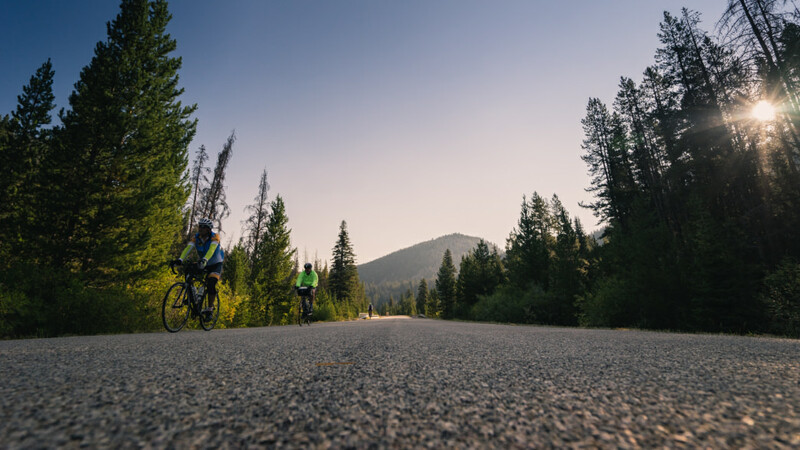 During the penultimate stage of your tour of the Greater Yellowstone area, you’ll wind, twist, and turn along Idaho backroads towards Red Dune Road, where you’ll make your way through some fantastic quartz sand dunes. Once through the dunes, you’ll be in the shadow of the Centennial Mountain Range again—these are truly some of the best backroads you will find anywhere. Day 5’s 60-mile ride is highlighted by the St. Anthony Sand Dunes that sprawl across the Snake River Plain. The dunes are unique to the area and encompass 10,600 acres of white quartz sand stacked into 400-foot high dunes. It’s one of the neatest places in the world and you’ll likely spot a few dune buggies zipping around as you ride past. 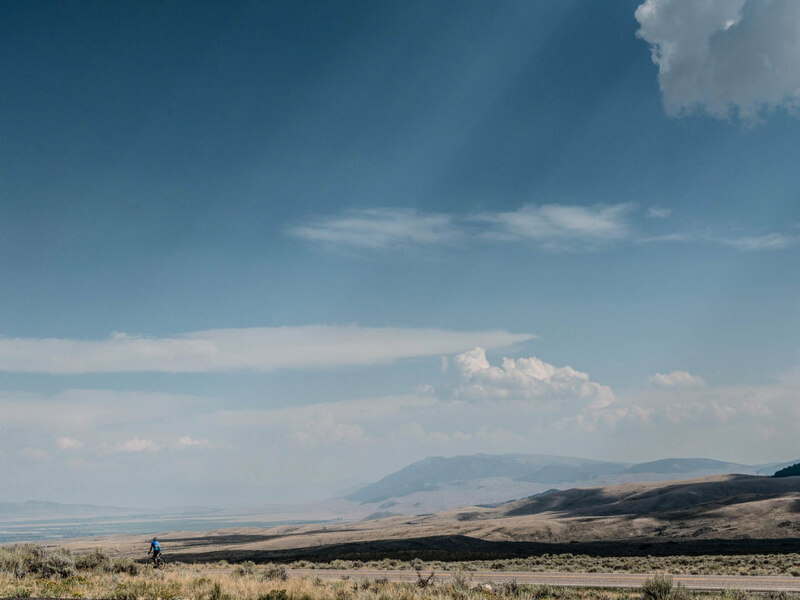 As you pedal along, the immense, expansive views of the Centennial Mountain Range make it hard to focus on the road ahead. The range spans 28,000 acres and forms the boundary between southwest Montana and Idaho. It’s known as some of southwest Montana's wildest country, so be prepared to spot anything in the fields surrounding its base. The list includes (but isn’t limited to) moose, elk, deer, wolverines, badgers, black bears, grizzly bears, a wide variety of birds, and occasionally grey wolves—which, now thanks to the Greater Yellowstone Coalition, are increasing in population. Enjoy the ride and be sure to look forward to settling in at your campsite in Kilgore—this is the last night of camping on the tour. Once you make it to your campsite in Kilgore you’ll find it’s similar to Archer in the sense that there’s not much by way of a town. The hamlet has very few accommodations, but there is a general store and rustic cabins for those in desperate need of a bed and a comfy mattress to crash on. It’s been a long week, after all! After five days on the road there is no doubt that you will have learned a thing or two about bike touring, what to do and what not to do. There are a lot of different pieces of advice that will do you well throughout your ride. The one thing Cycle Greater Yellowstone organizers will tell you over and again is to be prepared for any kind of weather. Ride promoter, Jennifer Drinkwalter said that the temperature during the day hovers between 70 and 80 degrees—perfect for riding in just a jersey and shorts—but that at night, it can dip to the 30s and 40s. Make sure your sleeping bag is rated to low temperatures and that you have warm clothes to pile on as temperatures drop. And, of course, it’s best to be prepared for everything, from sauna to snowy conditions. Thundershowers that pass quickly aren’t uncommon in the area, so rain gear is a plus. And because the area surrounding the park sits at an elevation of over 6,000 feet above sea level, it’s even more important to apply sunscreen, and apply frequently. These are not the types of lessons you want to be learning during your first few days on the road, so come prepared. 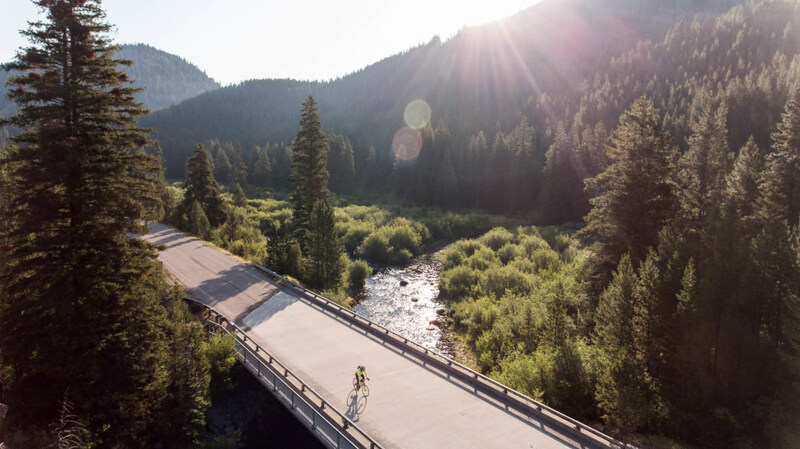 Of course, if you’re planning for a six-day bike tour, there are plenty of other essentials that you absolutely should pack in addition to layers and sunscreen to consider yourself ready for the long haul. A clean pair of shorts for each day will make you a lot more comfortable (and hygienic), but the tour also provides hand laundry pods for an in-camp laundering option. It’s also a good idea to bring along a good chamois cream that will help fight friction and chafing after long hours in the saddle. Pack enough spare gels for emergencies—though rest areas will be frequent—as well as a patch kit, a few tubes (you can always leave a few at camp and restock your pockets and saddlebag as needed), a mini-pump and a multi-tool. Bringing some chain lube and a rag or two for quick wipe-downs at the end of the day will be a big help. Every morning, make sure to give your bike a once-over, and if you’re having trouble, there are mechanics on staff. Pro tip: check your tire pressure every morning, don’t just pump it up on the first day and forget about it. Finally, make sure you’re eating and drinking enough—long hot days on the bike and cooler afternoons and evenings mean it’s more important than ever to drink enough post-ride (and not just the beers from Uberbrew!) in order to rehydrate properly, since you’ll be sweating a lot every day. 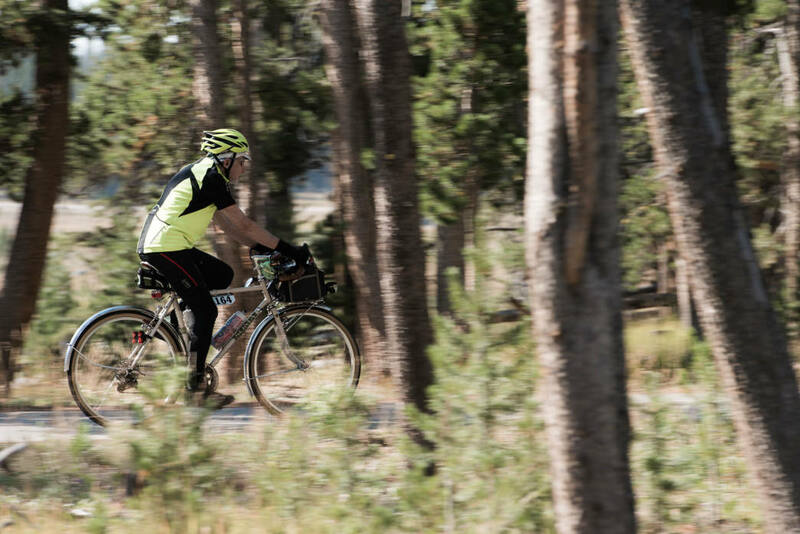 At the end of Day 5, with only one more day of pedaling to go, you might not feel ravenous at camp, but make sure you have a big dinner so you can finish big in West Yellowstone on Friday. Take this last night at camp to spend time with new friends, and exchange numbers, contact info, and photos from the week before (Reminder: No cell service, but you can still get contacts); the craziness of getting back to base camp might make you forget to grab that Facebook contact. You can enjoy a great yoga-style post-ride stretch or spend some time star-gazing. This is a wonderfully unique experience that not many people get to enjoy, and think, next year’s ride won’t include a solar eclipse, so truly, you are the only group that will take this exact tour.